Here's a sample motorsports paint scheme design from my portfolio. 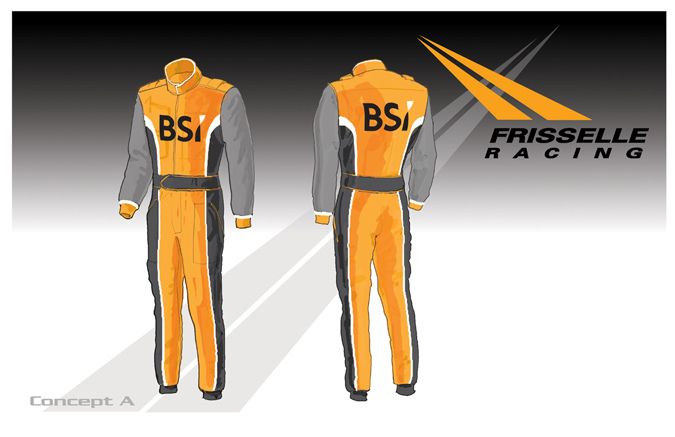 I created this motorsports paint scheme design for the Frisselle Racing team. 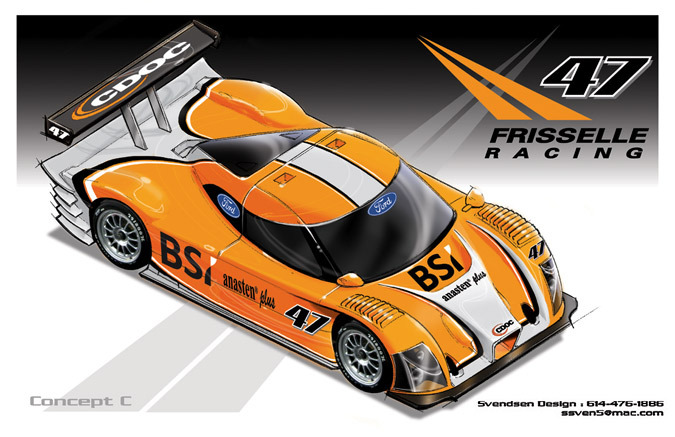 The newest entry into the 2008 Rolex Sports Car Series competition, drivers Burt Frisselle and Gabriele Gardel, will be sporting the latest Daytona Prototype chassis and motor combination with a Dallara-Ford package. The American-Swiss driver duo gained the backing of BSI Bank, Anasten Plus, and CDOC and asked me to design a new paint scheme for their car. 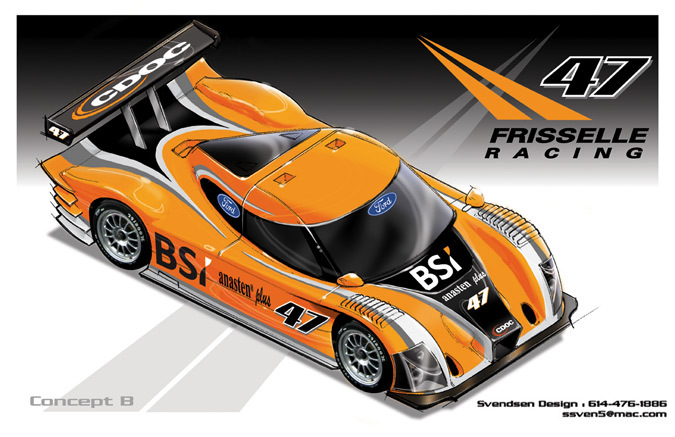 I presented several paint scheme design concepts for both car and the driver's uniform to team owner Brad Frisselle and the illustration above was chosen as the winning design. Frisselle & Gardel are expected to debut the No. 47 Dallara-Ford combination with their new paint scheme design on the track at the 2008 Rolex Series race event at Mexico City, Mexico. Shown below one of the alternate paint scheme design concepts I presented to the team. Click here to see other motorsports paint scheme design projects I've designed.